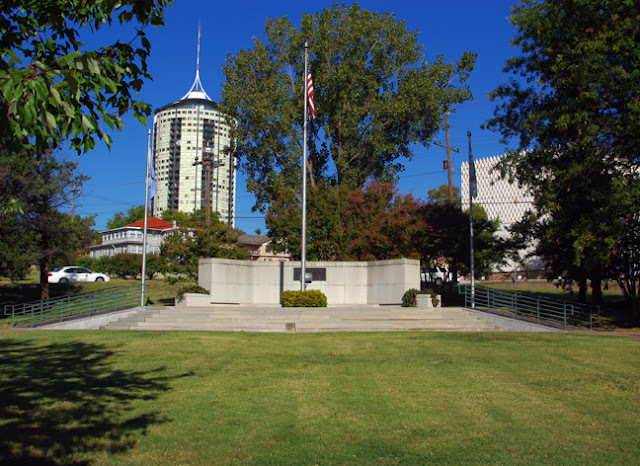 What is the most photographed landmark in Tulsa? 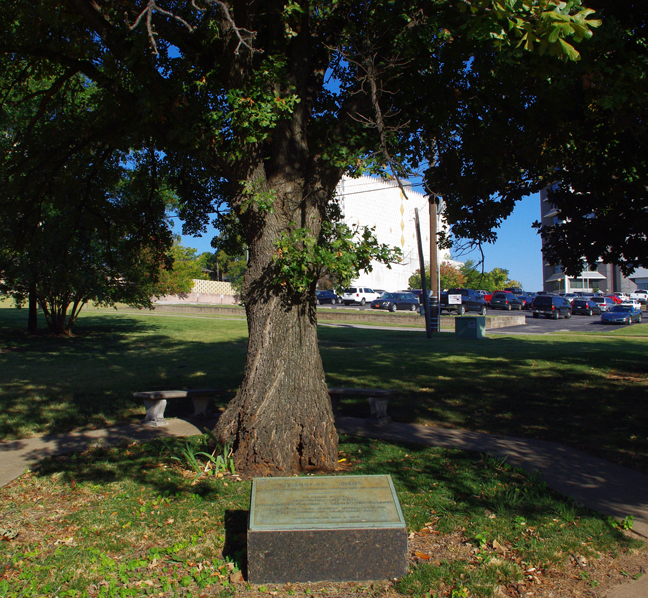 Standing 76 feet tall and weighing 43,500 pounds, it is Oklahoma's official state monument. 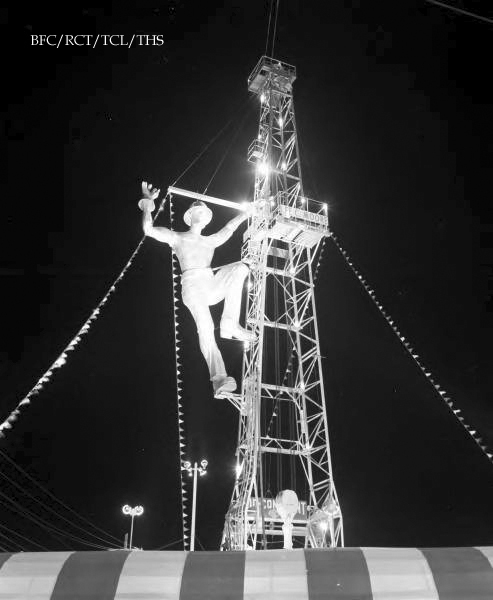 That would be our very own Golden Driller, of course, who has stood at the entrance of the Expo Square for the past 34 years. But where did he come from? The first Golden Driller appeared at the 1953 IPE show looking more like a large academy award statue wearing a hat than anything else. He's making an "OK" sign with his right hand……I think. Again he drew a lot of positive attention. So much so that the Fairgrounds Trust Authority decided to have him permanently installed when Mid-Continent donated the statue. Over the next 7 years he had a makeover, actually he had to be completely re-made to withstand the elements. 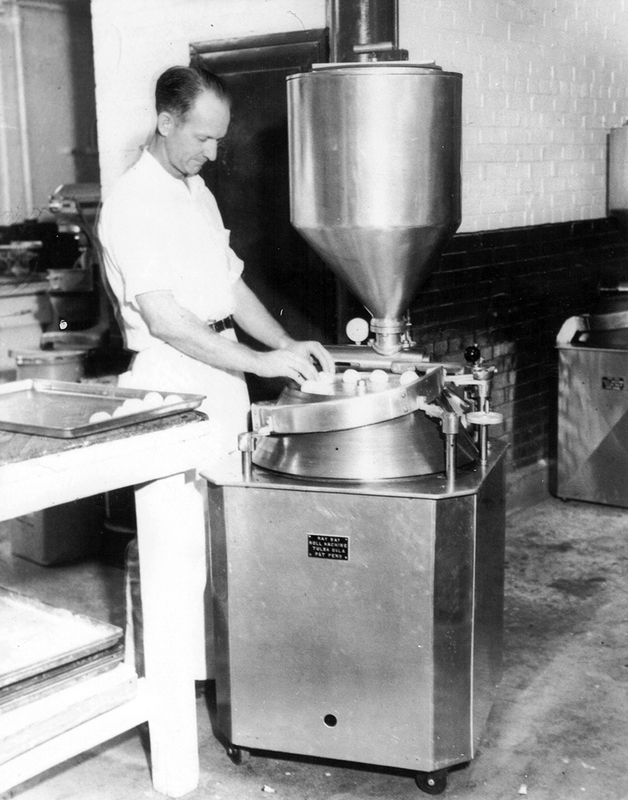 He was ready to be installed just in time for the 1966 International Petroleum Exposition. Late Tulsa photographer Walter Brewer took these interesting photos which were donated to the Tulsa Historical Society. The Golden Driller contains a total of 2.5 miles of rods and mesh. 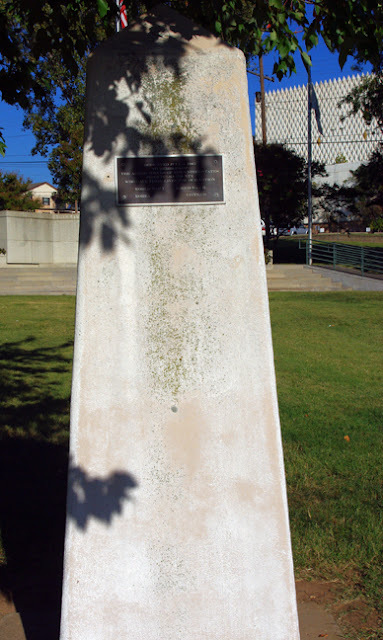 Made from plaster and concrete, it can withstand 200 mph winds, which is a good thing here in Oklahoma. 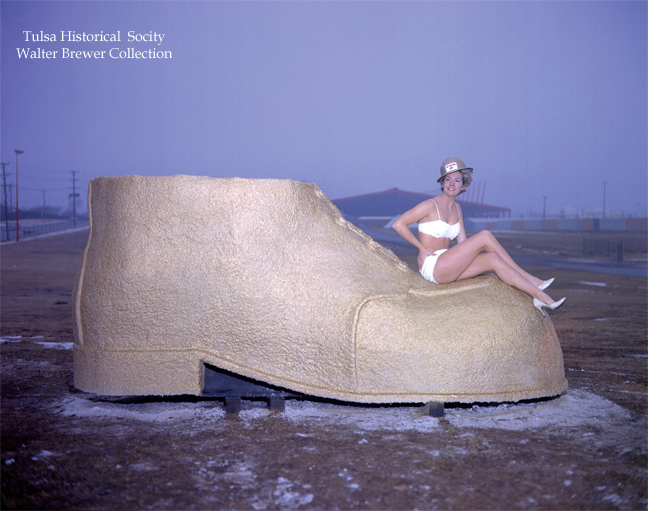 This unidentified model is lounging one of the Driller's shoes; photo taken west of the Expo Building. 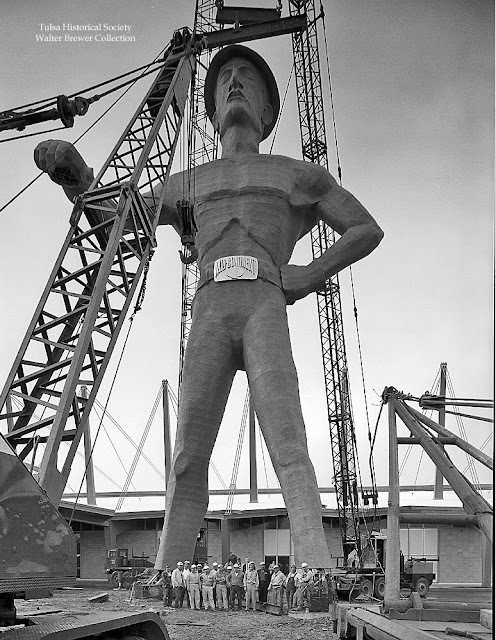 Here he is, towering over the workers who built and installed him in 1966. As you can see his belt buckle says Mid-Continent at this time. 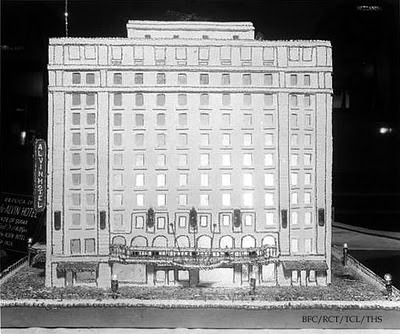 It was changed in 1979 to the current buckle that says Tulsa when he got a makeover and new paint job. 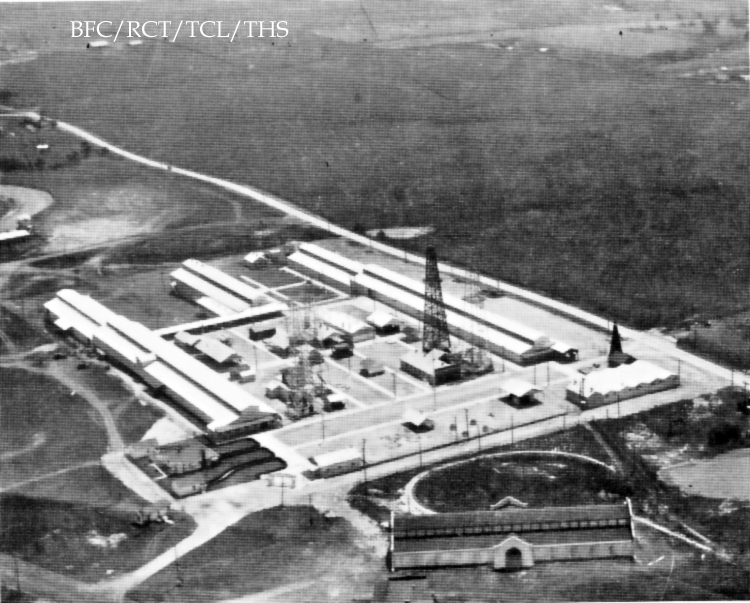 His right hand would soon rest upon an oil derrick that was removed from a depleted oil field in Seminole, OK.
Over time the Driller has seen the good and the bad. He has been vandalized, assaulted by shotgun blasts and severe weather. 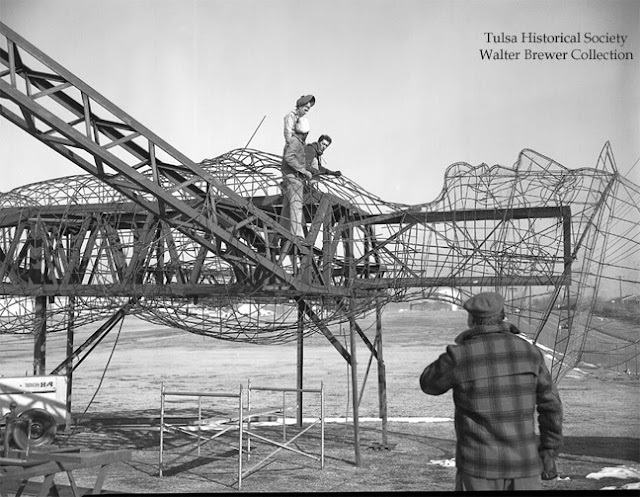 But he has also had more photo sessions with tourist than any other Tulsa landmark and can boast of many who love him all around the world. 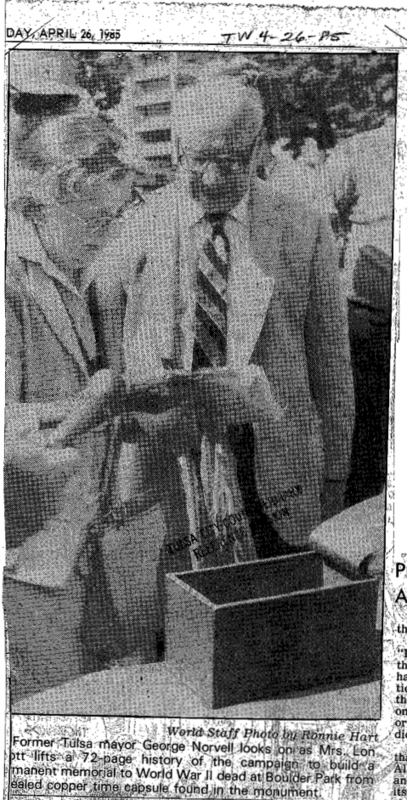 He has been known to sport t-shirts, belts, beads and ties- and worn them well. 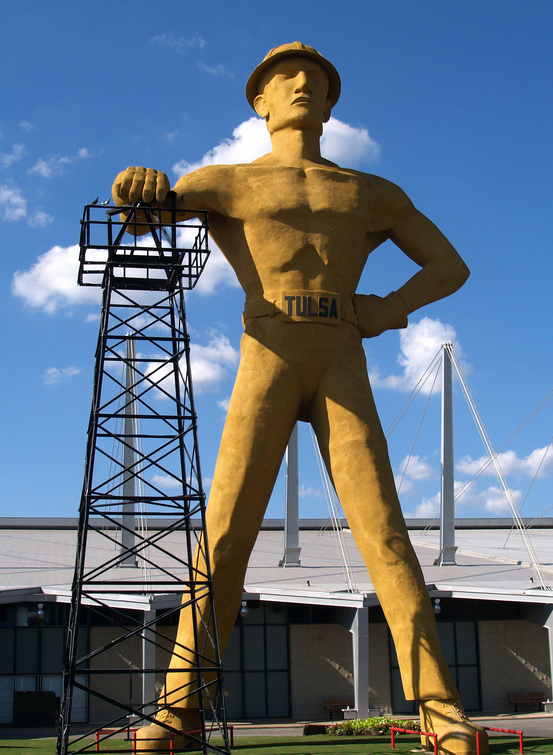 The Golden Driller represents the roots of our city: oil. Without which we would not have so very many of our wonderful assets that many of us take for granted. Personally, I love our Golden Roustabout. a symbol of the International Petroleum Exposition. from God's abundance a better life for mankind. I grew up knowing our city was The Oil Capital of the World as did most Tulsa citizens from my generation (and earlier). 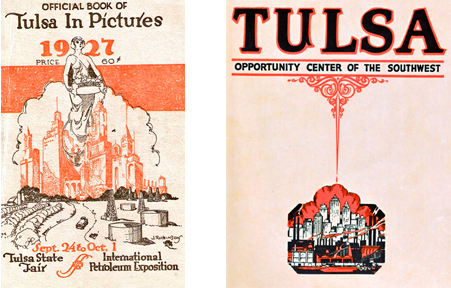 It defined us as Tulsans for more than 50 years and was brought to our attention via the International Petroleum Exposition (lest we forget) until 1979. 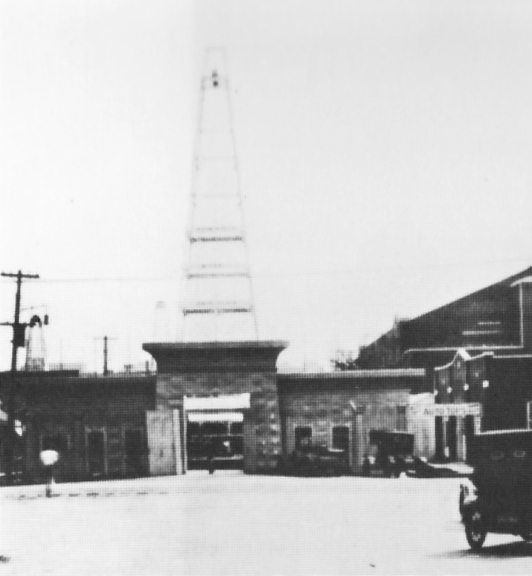 The IPE was established in 1923 to provide a venue for oilmen to buy and sell the newest equipment as well as exhibit the latest technology, and Tulsa was chosen as it's home. 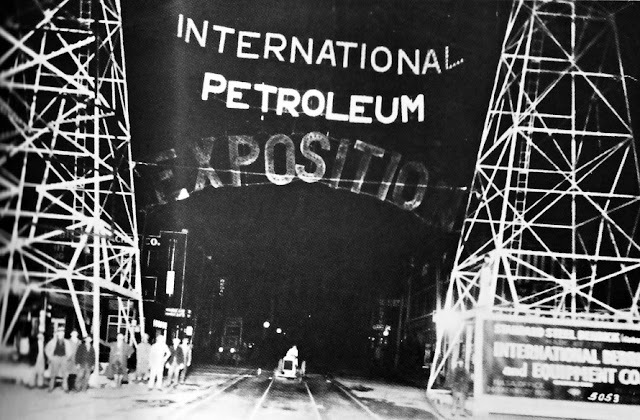 The first Expo was held on October 8-14, 1923 near downtown at the Convention Hall (aka Brady Theater) and spilled out into the streets from Main to Cheyenne and Archer to Cameron. There were only 27 exhibits but, despite heavy rains, it drew an attendance of 14,203- enough to warrant it being continued. The next year it was moved to the old Tulsa circus grounds where it remained until 1927. Attendance during these years grew to well over 120,000. Various petroleum-related industries scheduled their meetings in Tulsa during the exposition which in turn prompted many promotional booklets to be published by the Chamber of Commerce. 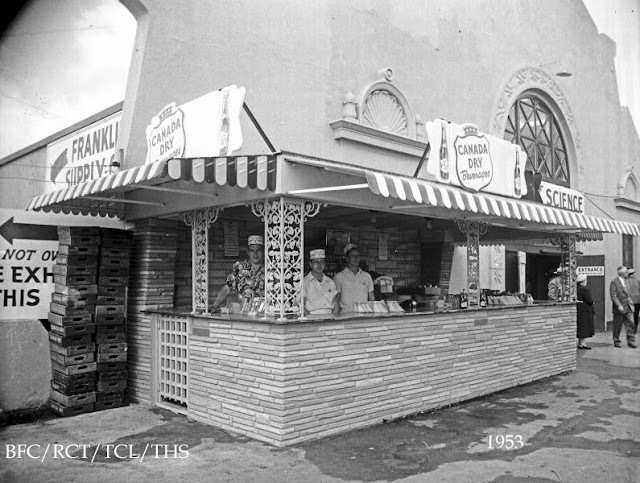 These have turned out to be a wonderful resource of our city's history. 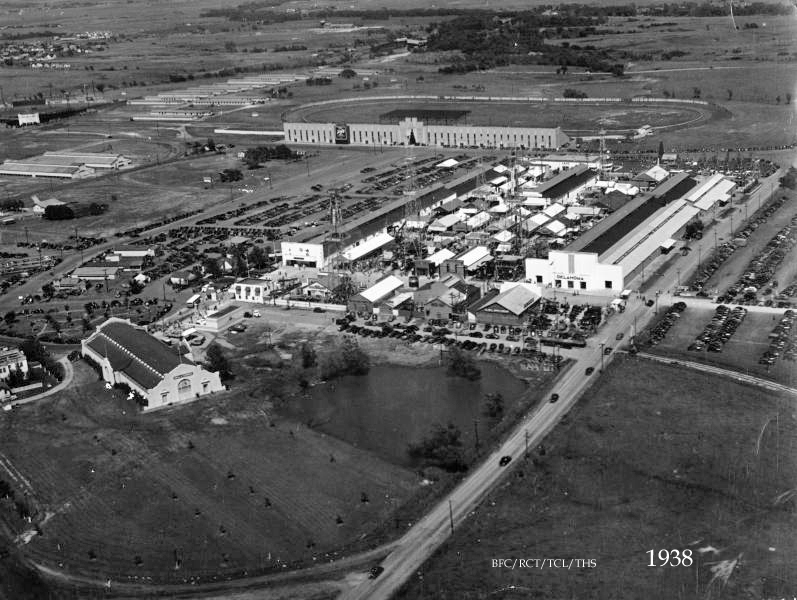 In 1927 the IPE found a permanent home on acreage leased from the Tulsa State Fair. 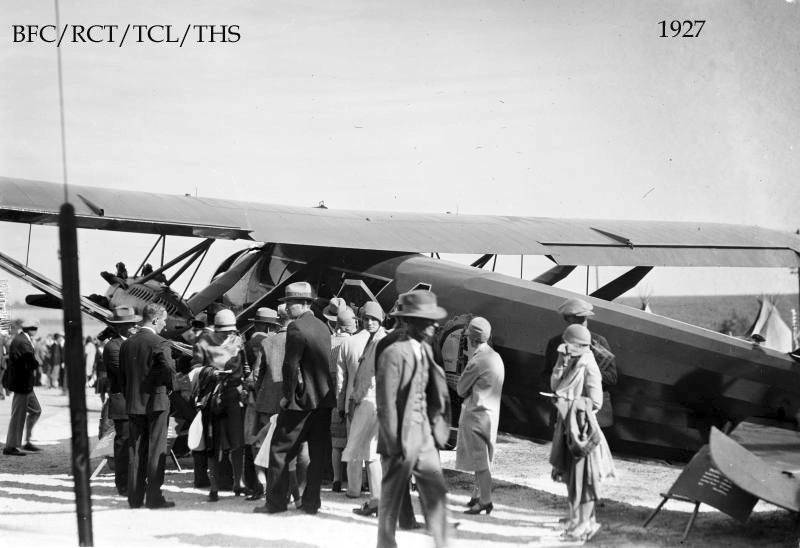 Aviator Charles Lindbergh was a special guest and President Calvin Coolidge pressed a button in the White House that sent oil gushing at a simulated derrick on the IPE grounds. The Depression caused the show to be held only in 1930, 1934, 1936, 1938 and 1940- at which time the exhibits had mushroomed to 628 and attendance 194,491. The exposition was suspended for the next 8 years due to WWII. 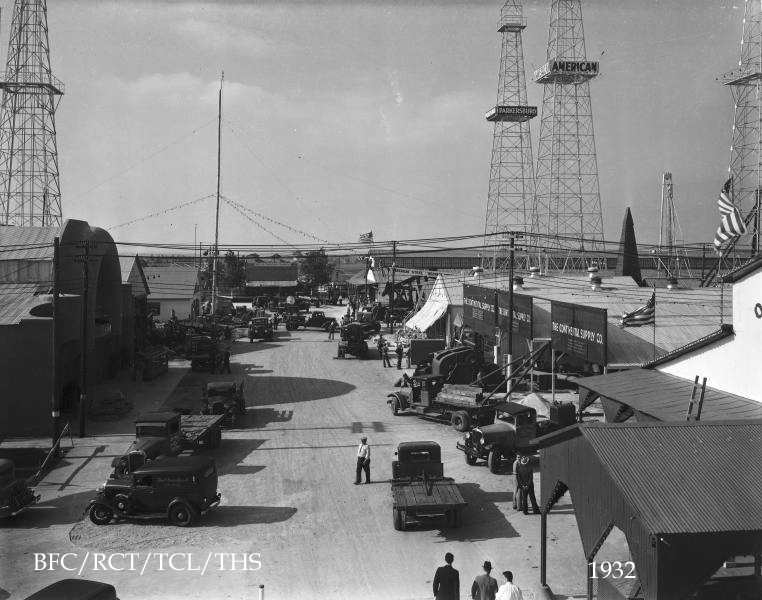 Despite the attendance of more than 300,000 visitors at the 1948 show, the board of directors voted to hold it every five years due to logistics and financial difficulties. And so the IPE was held in 1953, 1959, 1966, 1971, 1976 and 1979. 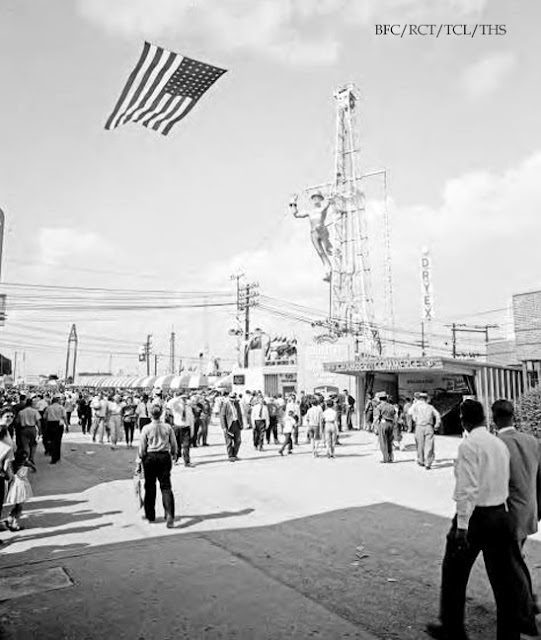 The crowds continued to swell to over 300,000 in the 1950's and 1960's. 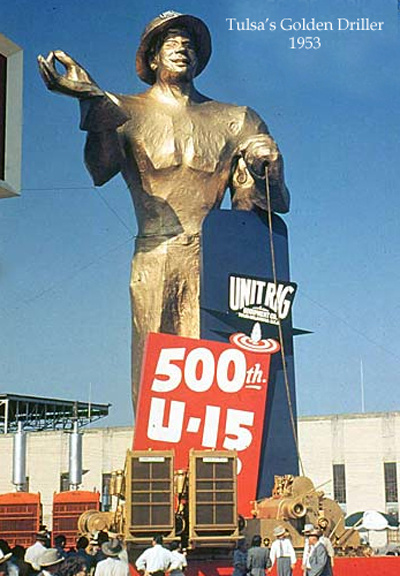 In 1966 all of the IPE buildings were demolished and a ten-acre exhibition hall was constructed with Mid-Continent Supply placing the 8-story-tall Golden Driller statue at the entrance. 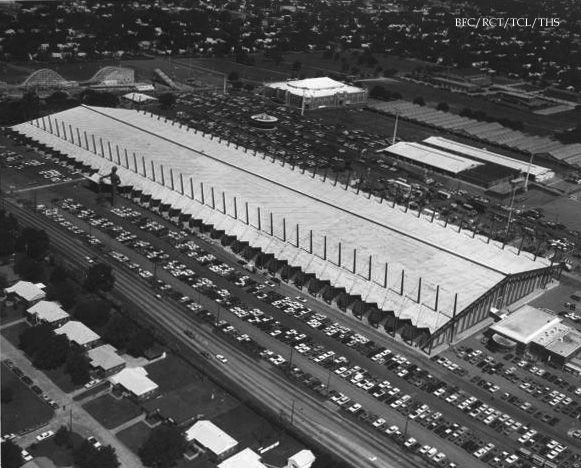 The attendance at the 1966 IPE was the largest ever and it's future seemed assured. But the oil slump in the 1970's struck and after an attendance of only 26,000 in 1979, the 57 yr old event was cancelled permanently. 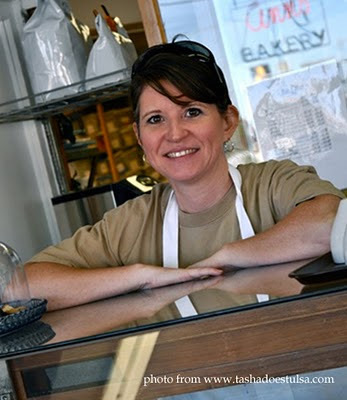 Ah, bakeries. Who doesn't love to walk past - or better: INTO - a bakery? 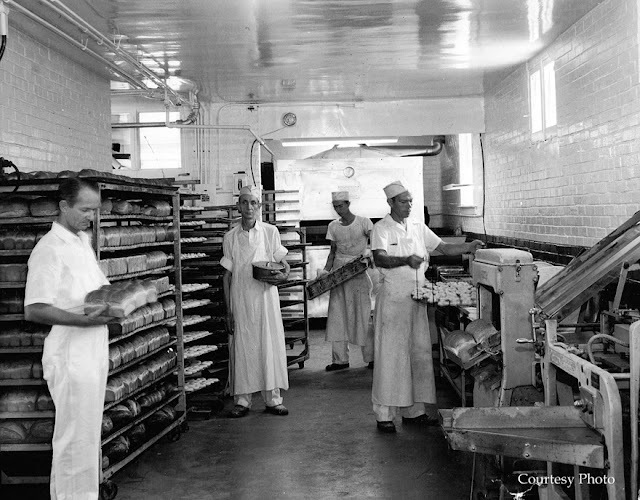 Besides my love, love, LOVE for all things bread, pastry and icing, I also worked in a bakery during my college days. 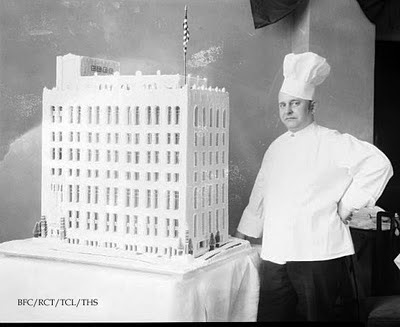 Actually I worked in a HUGE bakery that made all of the items for the dorms at the university. I worked from 5:00 a.m. until 11:00 a.m. then rushed to make an 11:30 class where inevitably some smart-aleck would ask loudly: Does anyone else smell doughnuts? after I sat down. But I digress. 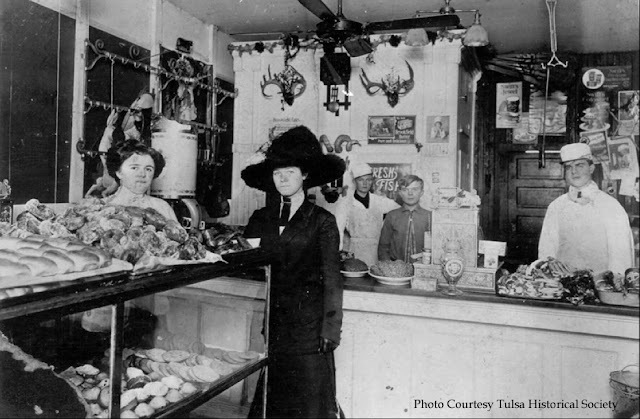 When working on one of the Historical Society's educational presentations, I found a few photos of bakeries from Tulsa's past that I thought were interesting. 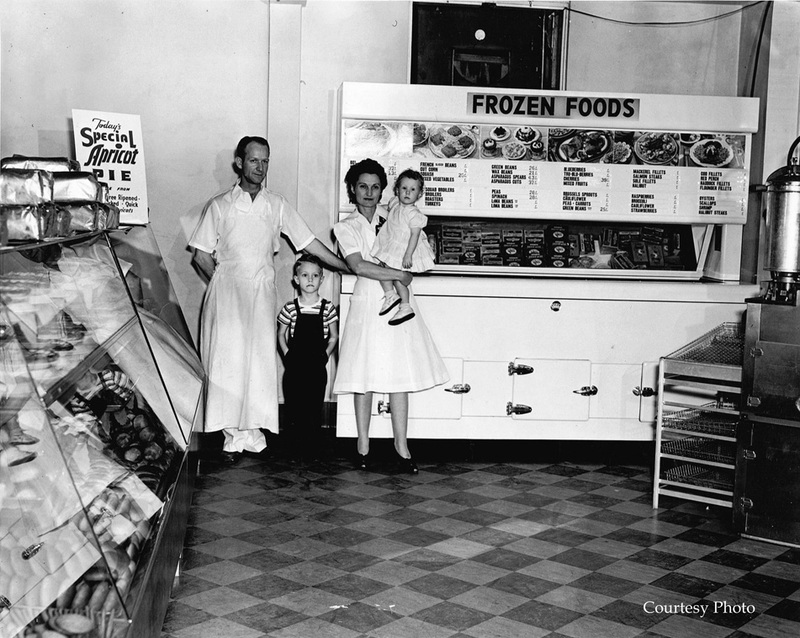 In 1937 Alabama Marshall's son Paul Marshall and his wife Lilah came to Tulsa from Texas and started a full-fledged pie-making business. 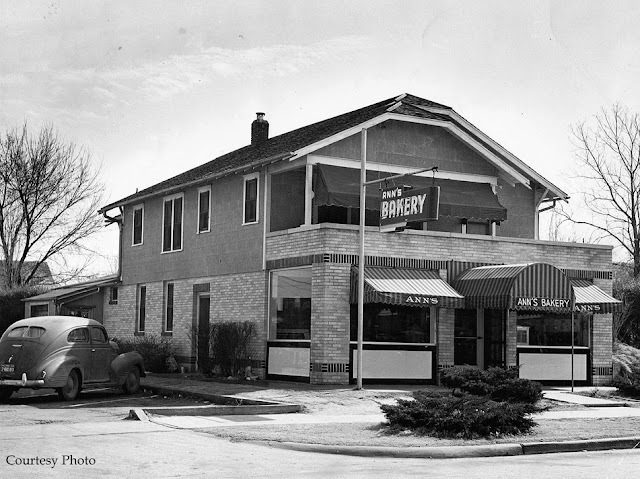 Bama Pies is located at 11th and Delaware and started out in a (converted) house. 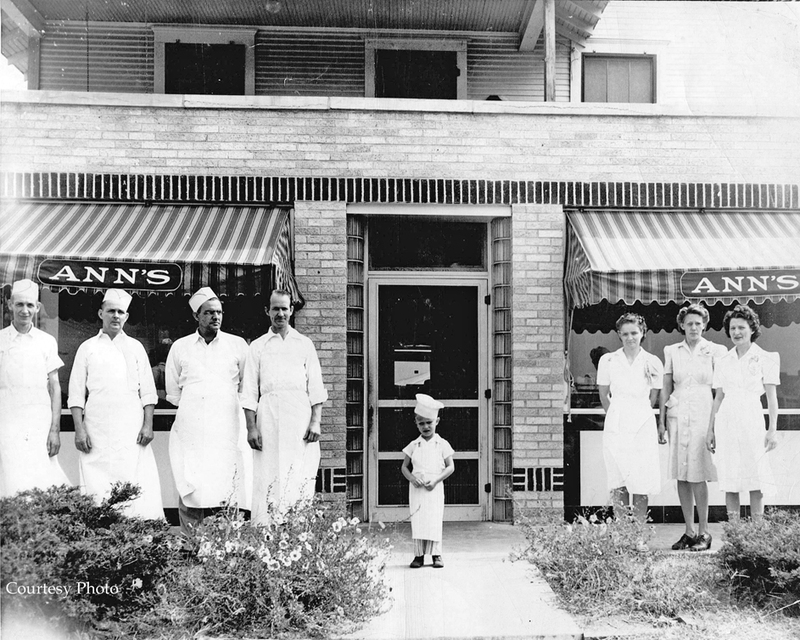 The next year, 1938, is when Ray and Ann Bay opened their bakery, Ann's. They bought a house at 7 N. Harvard, had it raised and a bakery built underneath it. During this building period they ran their bakery from a temporary location on 11th Street. 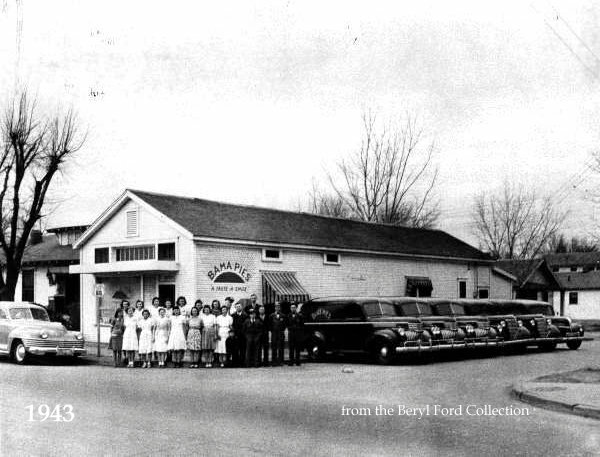 They moved into their new home and workplace sometime before 1940. 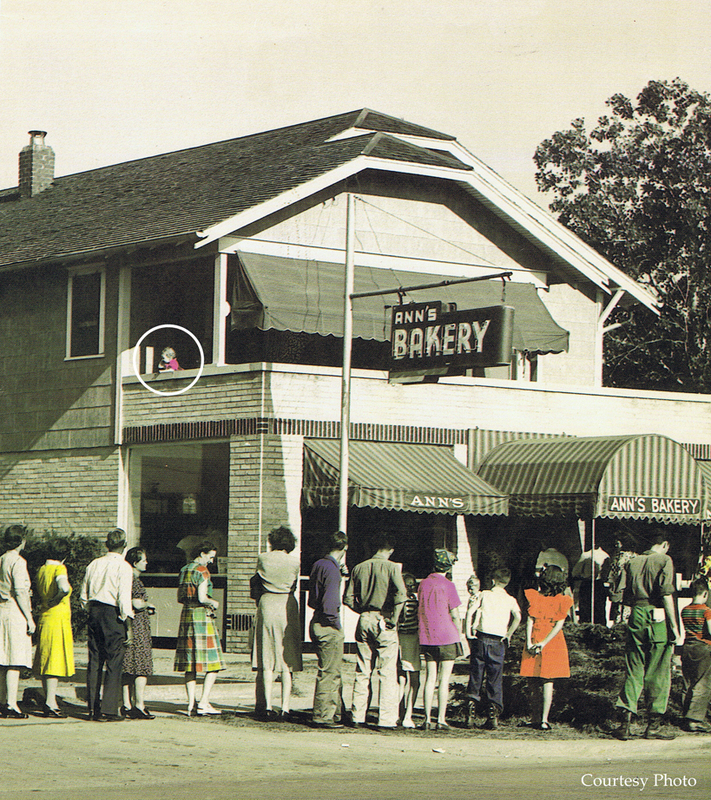 In the early years, Ray Bay was the baker and cake decorator while Ann worked the front and handled the books. 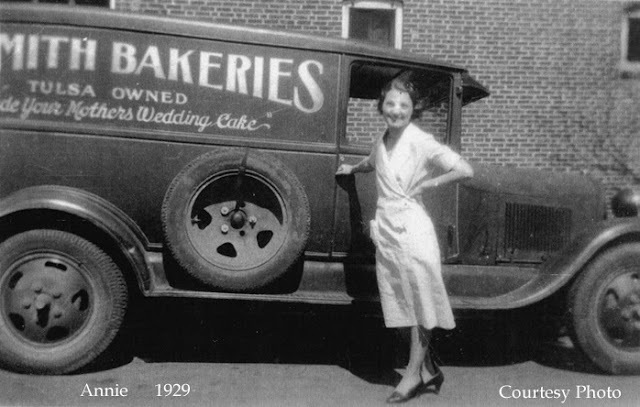 The workers at the large bakeries (Wonder and Rainbo) that supplied bread to grocery stores were on strike, so Ann's bread was in great demand. 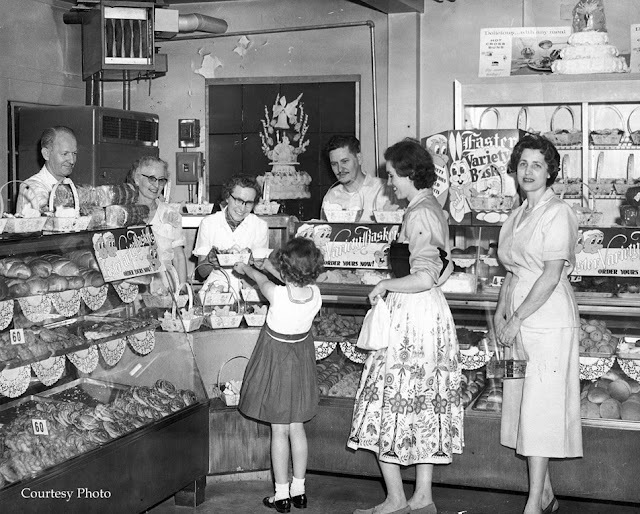 This was around Easter, sometime in the 1950's. 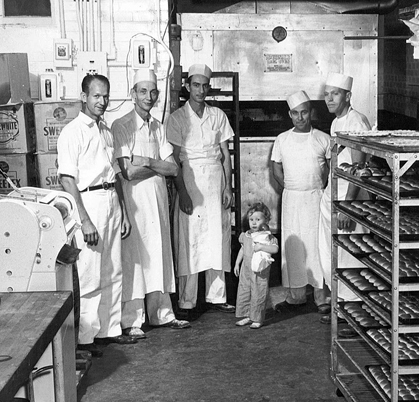 Ray Bay passed away in 1968, leaving Ann and her son Johnny running the bakery for the next 25 years. When Johnny passed away in 1993, Sharon and her husband continued running it and helping Ann, who worked well into her early 90's. Sadly, she passed away in 2006 at the age of 100. 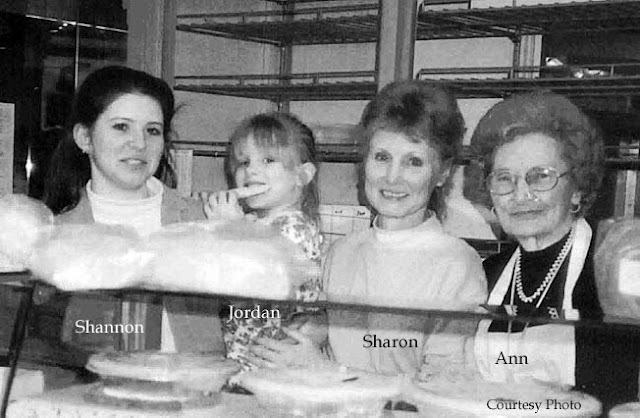 And now, Sharon's daughter Shannon is the third generation keeping this wonderful bakery and tradition going. Blogger Tasha Ball (Tasha Does Tulsa) recently had Ann's make one of those vintage Barbie cake/dresses for her birthday and blogs about it here. From looking at the photos offered on Ann's website, it looks like they can make anything, any idea thrown at them - and make it look great. I'm sure though, that wedding cakes are their forte- and theirs are beautiful works of art. The founding fathers of Tulsa had a brilliant idea for naming our city's streets. 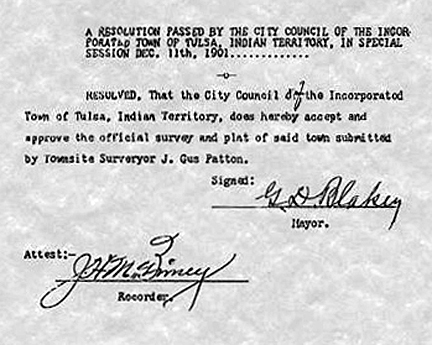 Dan Patton (who at various times was city engineer, county engineer and Tulsa's 17th Mayor) is credited for the street-naming system. 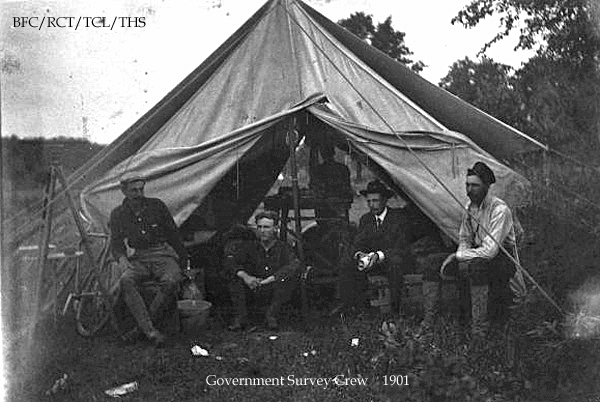 Dan and brother Gus Patton began working together as surveyors on the Government Survey Crew here in 1901. This was the official map showing the street layout. East-west streets south of the intersection of Main and the Frisco tracks would be numbered. East-west streets to the north would be named alphabetically, preferably for leading citizens. The first honored was Jeff Archer. 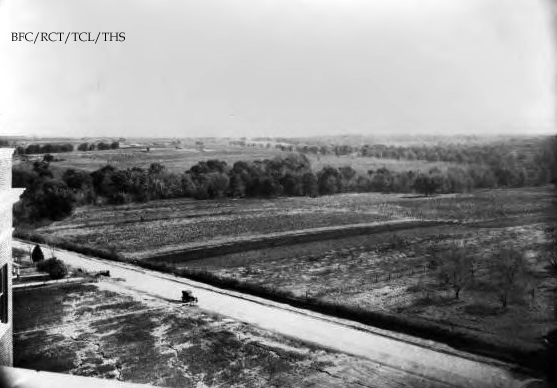 Archer was originally called Cherokee Line Road. The second honorary street name was for Tate Brady. 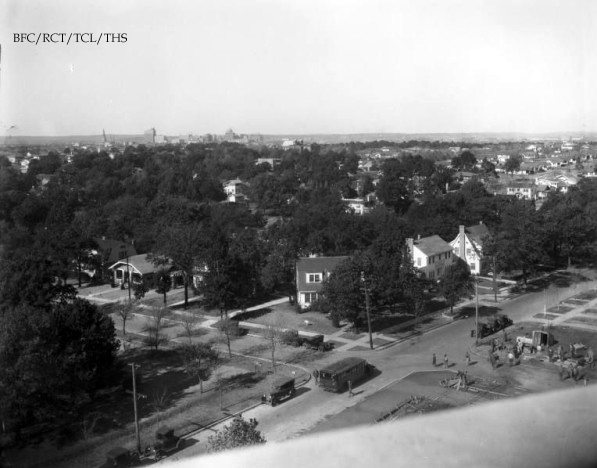 North-south streets east of Main would be the names of cities east of Tulsa and the streets west of Main named for cities west of Tulsa. 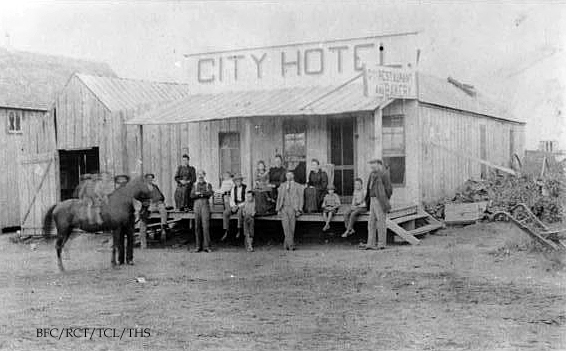 The trouble was, nobody realized just how big the town would get. Things first started getting dicey when, because of an irregularity in surveys, two Q streets were needed to the east. Quincy was an obvious choice, but whoever heard of a town called Quaker? Then came the X-crisis. Xenophon and Xanthus are from Greek mythology, and who or what was Xyler? Nobody knows what these guys were thinking, but by the time they got to the end of the alphabet east for the 2nd time, they jumped from Winston to Yale to Allegheny. The 3rd alphabet east got only as far as Oxford when it ran into an old name for a country road: Sheridan. 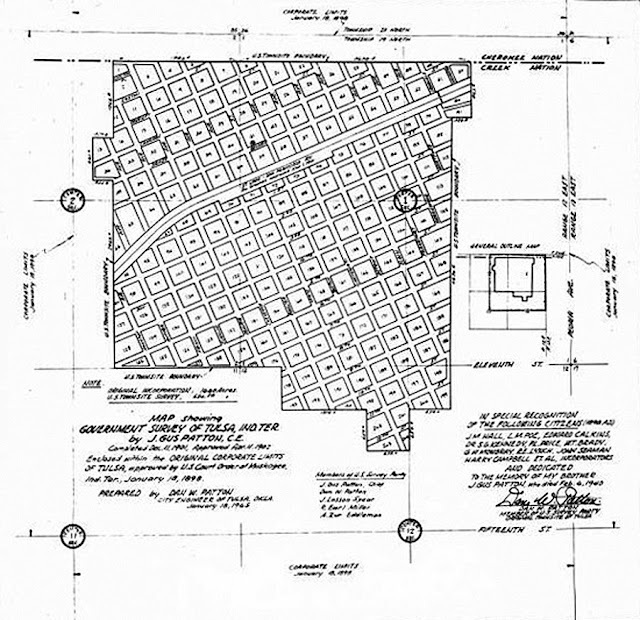 The city commission undoubtedly decided that that was a fine time to stop the alphabet puzzles and named the street just east of Sheridan South 64th East Avenue. About the same time they got to the end of the alphabets north and west. They thought for a little while that they might run through the alphabet again to the north and the first street beyond Zion was named Apache. But then they had a change of mind and the second street is 26th St North. Why it wasn't 27th street, since the full 26 letters were used north of the Frisco tracks, many of them several times, is not clear. To the west, after Zenith, comes 23rd West Ave. The western alphabet lacks a K street for some reason but you'd think it would be 26th West Avenue. Tulsa street names have many inconsistencies for sure. Where is the city or town of Elwood? And Galveston and Houston are west side streets....west of the Mississippi I guess. Many assume that Hartford is named after Hartford, Conn. 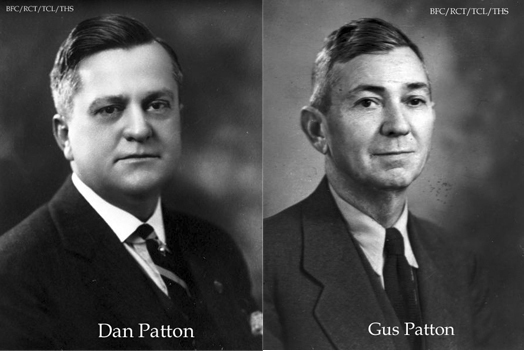 However, the Patton brothers named Hartford and Greenwood after two towns in Arkansas (where they were from) with those names. Harvard Avenue was named for Harvard University, at the request of local Harvard graduates. Local Yale grads were livid so the next section line was named to appease them. 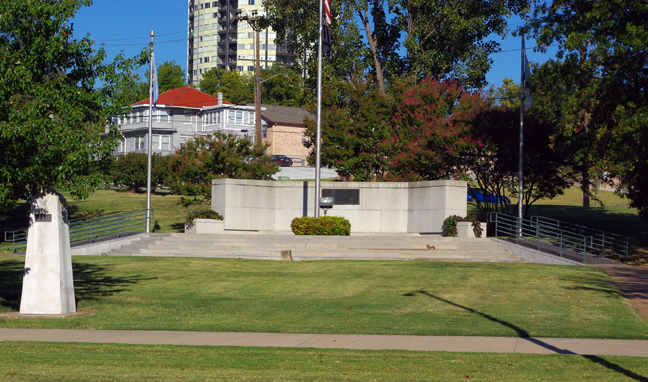 In western Tulsa, Mayor Martin (1911-1912) developed a new addition just west of downtown shortly after his term ended. 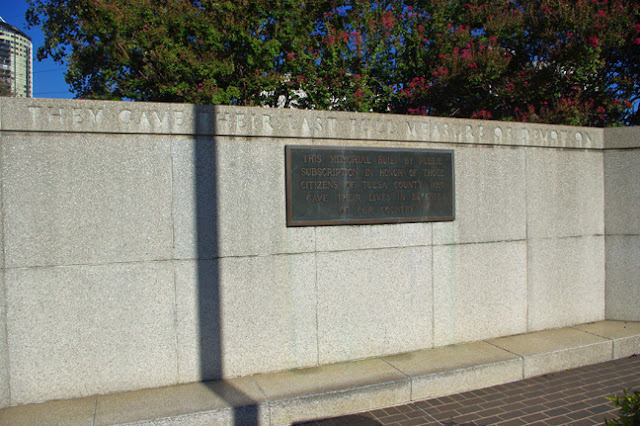 The city hadn't come up with an "M" avenue name, so he named the avenue after his wife, Maybelle. Jasper is named for an obscure local businessman Jasper Colley. S.R. 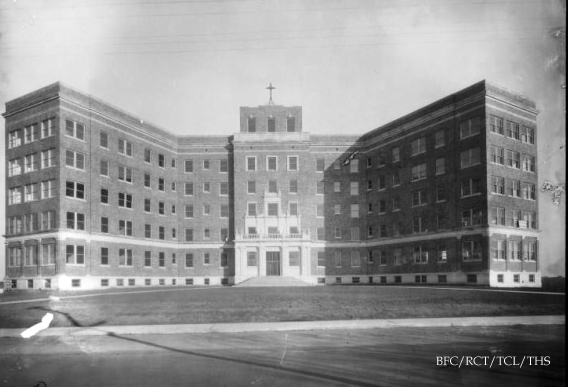 "Buck" Lewis gave his name to one of the city's major streets- out of the alphabetical system- but little is known about him. 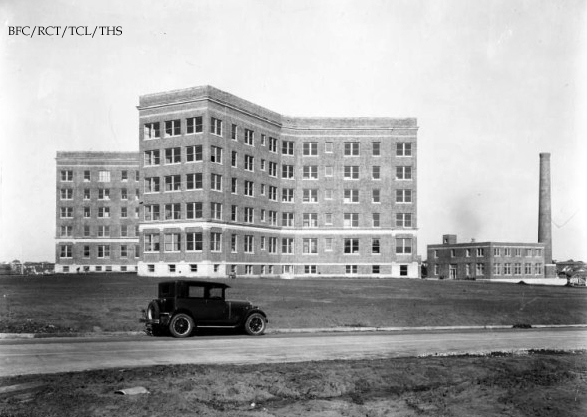 Terwilliger Blvd is named after the neighborhood's developer, C.H. 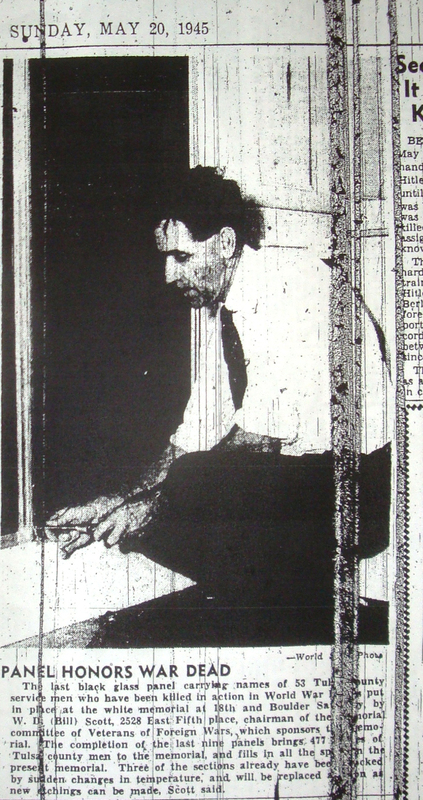 Terwilliger. 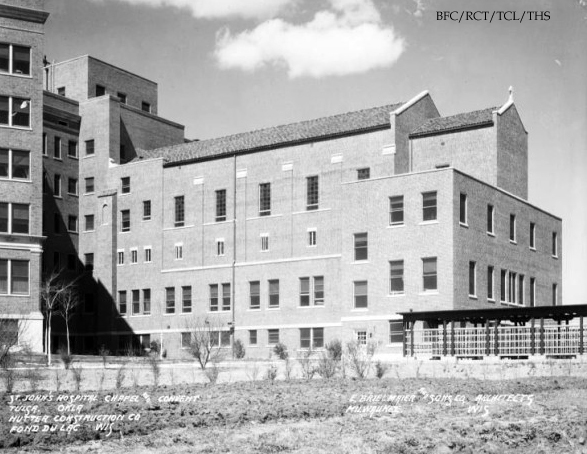 Why are there three "C" avenues: Cheyenne, Carson and Carthage before Denver? 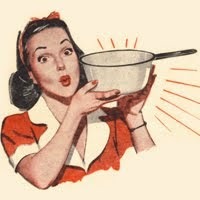 For whom is Cameron named? And Waverly Drive? Who was Hazel Boulevard- another street out of order- named for? Most likely we will never know the answers. But it's been fun learning about our street names. *Click HERE to see the full list of street name changes. 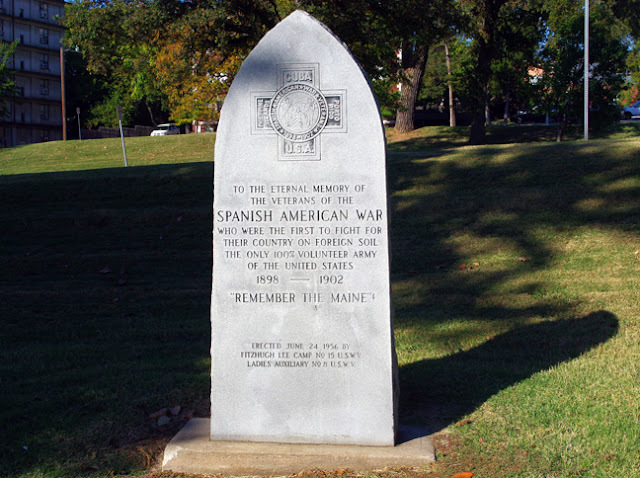 As I noted in the previous post, the War Memorial we had been wondering about turned out to be a temporary one. On the same day I posted that, I received more information from another volunteer who had been in contact with the research people at the library. 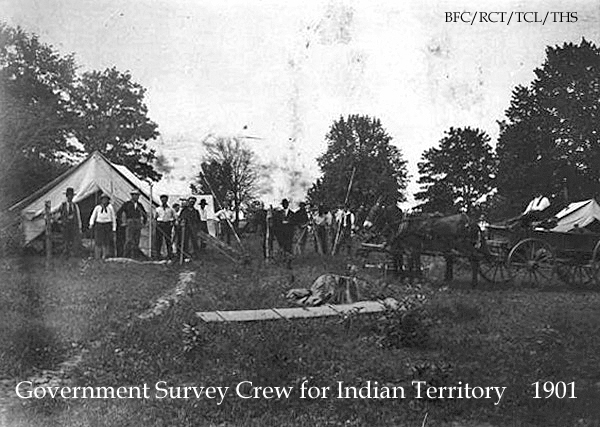 Their research supplied us with even more information. 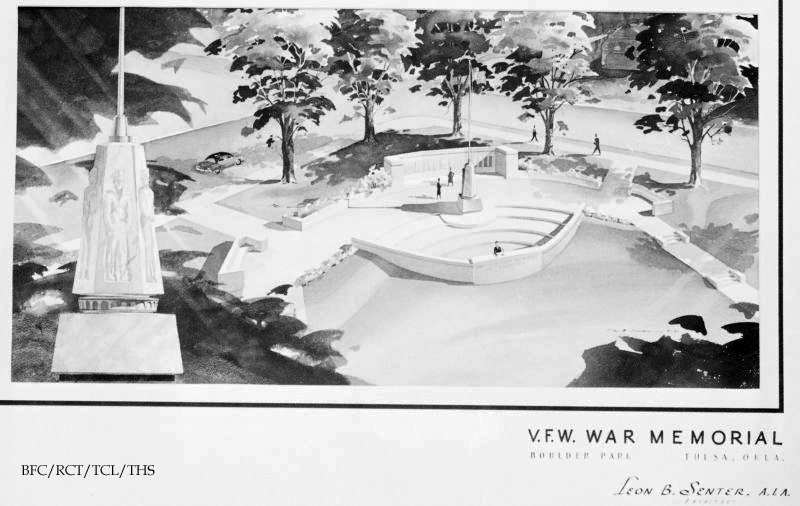 Even before WWII the VFW had presented plans to the park board for a memorial that had included a rotunda on which the names of all men who served would have been preserved and a museum of war relics. 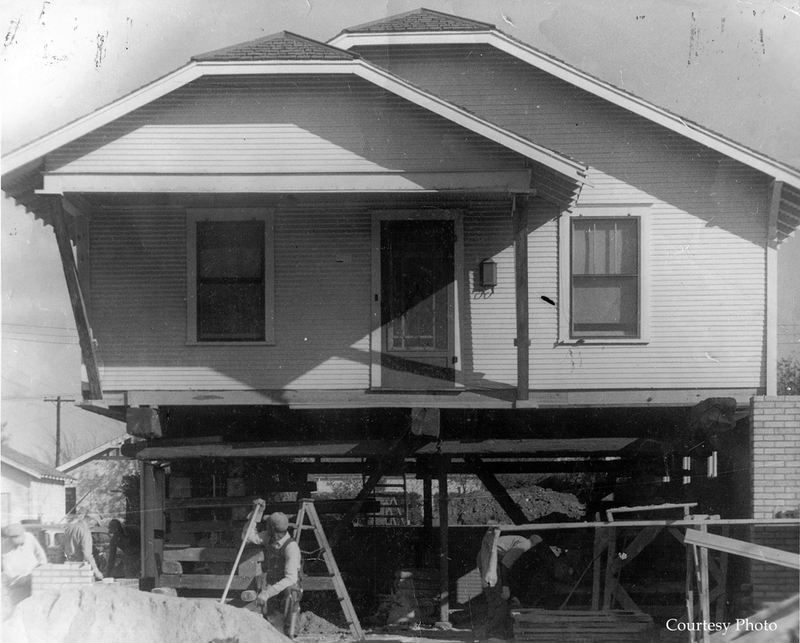 The boards objection was that the maintenance cost would be too great. 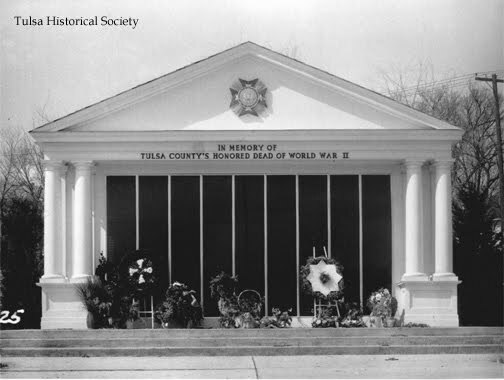 The temporary memorial was dedicated July 4, 1944 and became a shrine for relatives of soldiers who had died in war, almost constantly decorated with flowers. It was never meant to be permanent, the feeling being that no permanent memorial should take form until soldiers returned home and could make their desires known. The day after WWII officially ended, the VFW honored the dead at the temporary shrine beginning in the morning and highlighted by ceremonies and religious services throughout the day. A large white and orchid wreath was put on the steps and as the bugler began the beautiful notes of 'Taps' there wasn't a dry eye anywhere. The next day, Tulsa Post 577 VFW announced that plans were nearly completed for a permanent memorial in Boulder park, with plans being drawn up by architect Leon Senter. 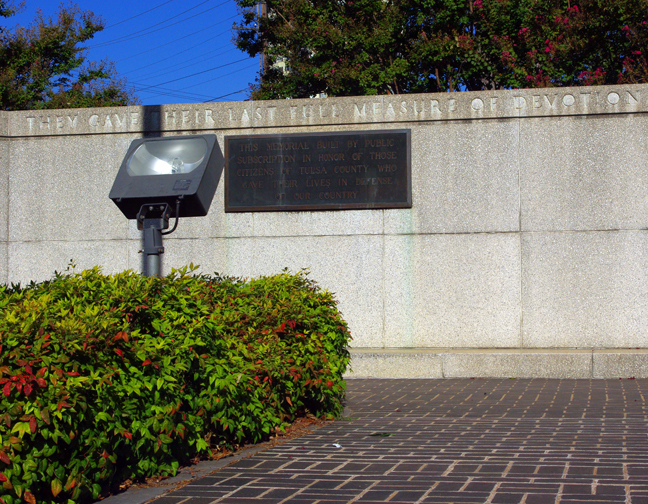 The temporary memorial was deteriorating, marring it's beauty and reverence. 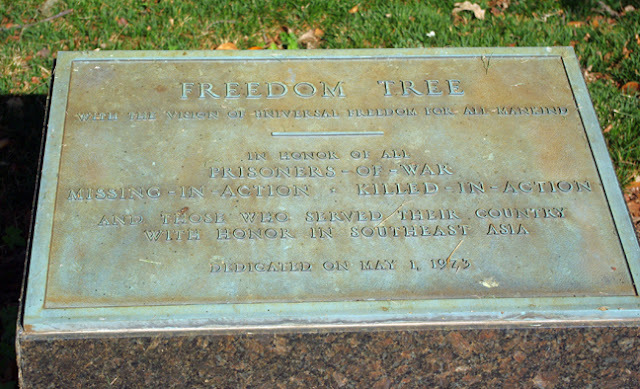 More than two years later it was announced that the permanent memorial would be built and that it would be funded by school children, business men, civic leaders, employes and others. 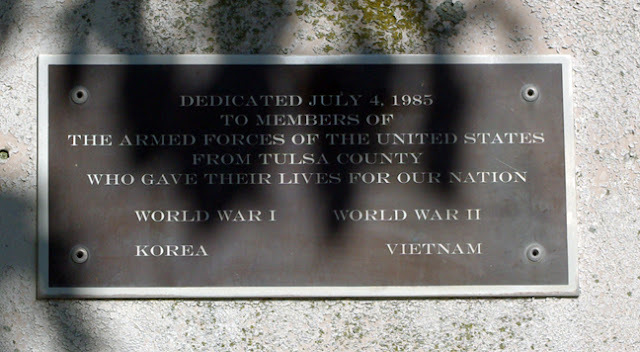 "The new memorial will cost exactly what is contributed by those who feel we should honor the Tulsa county dead of WWI and WWII" said a committee member. 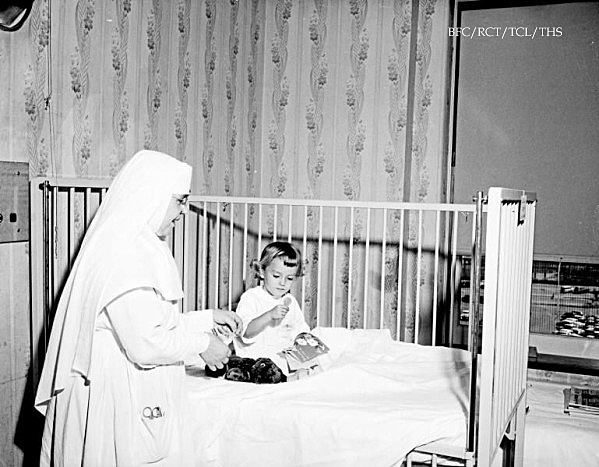 Brochures were distributed to all school children and thousands of citizens. These leaflets, along with the the planning, fundraising and newspaper accounts were all archived. A 72-page history was written and placed in a copper box that was sealed and placed behind the granite panels of the memorial in a niche. 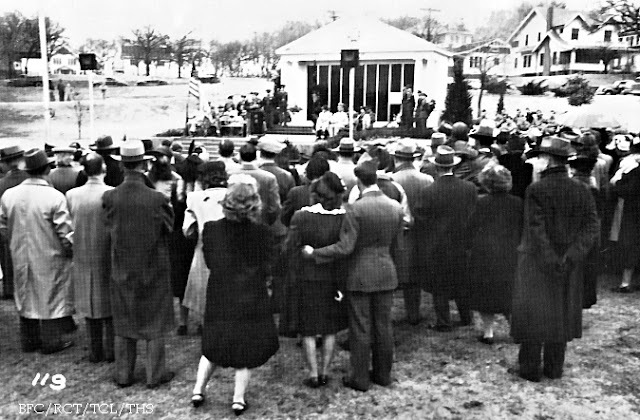 The memorial was officially dedicated in 1954. Several smaller plaques and memorials have been added over time to the area. It was during a renovation of the memorial in 1985 (which is also when the above monument was added) that the mysterious copper box was discovered. 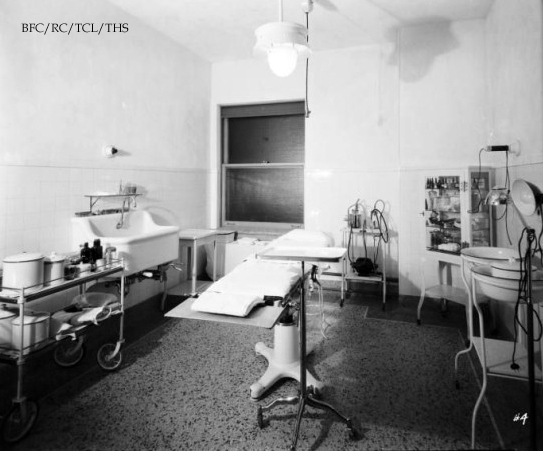 The history author, Leslie Lon Scott, noted, "It may be decades hence before the copper box is opened and by then none of us who participated in the campaign will be living,"
Scott's wife, however, was around. This leaves just one more unsolved mystery that the nice folks at the library are working on. 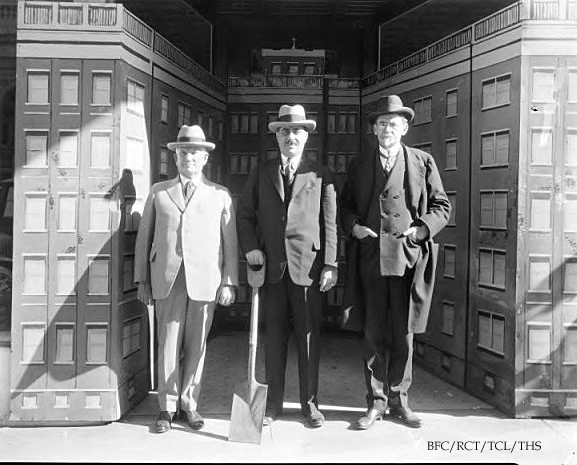 The newspaper reported that in the box was a partial list of donors from February 1948 and November 1950 and that the plan was to store a complete list of givers in the public library. No list has been found and I'm wondering where that copper box is. 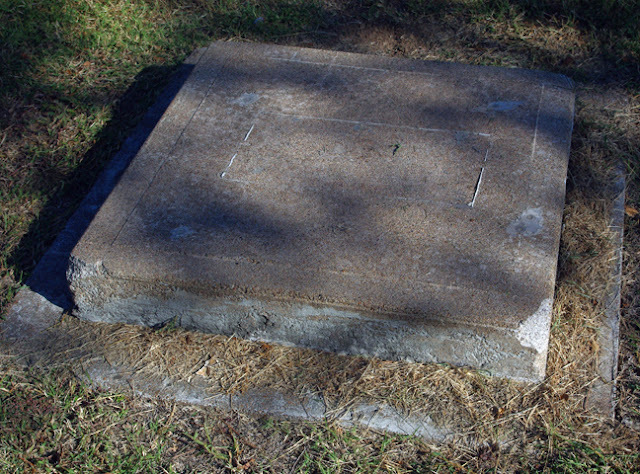 Was it reburied? Therefore, I must add: to be continued.